Iratxe Bernal (El Correo) .- That Kuwait, one of the largest exporters of crude, renew the equipment of its oil plants is not a great news. That to do it with combustion technology designed and manufactured in Artea, Spain, it is something else. (Photo Pedro Urresti). Here, at the E & M Combustion plant, has been developed the burner that, through a water heater, will allow to raise the temperature of extracted crude from the Al-Jahra wells to give it the density needed to transport it through a network of pipes to the refinery. 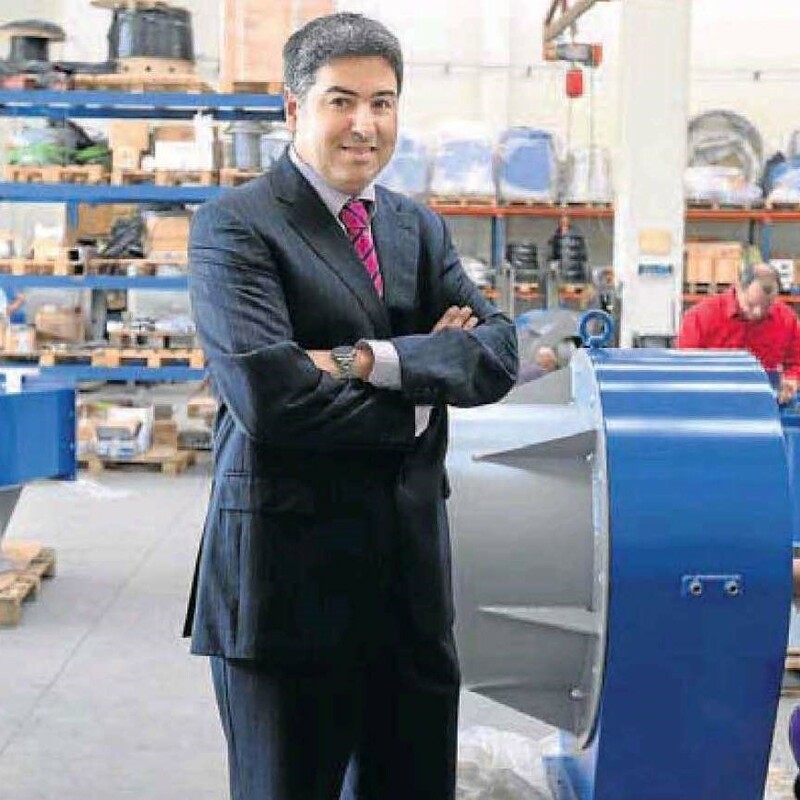 This is the first sale in the Arab country of this Spanish engineering company specialized in the development and manufacture of industrial burners and combustion equipment for industrial applications created in 2004 and which serves Repsol, Pemex or Iberdrola in the energy sector, as well as Diageo, Puleva or La Casera in the food. It is an achievement that in E&M Combustion look with much optimism because, although the plant belongs to a Franco-American oil company -Schlumberger-, for them it means entering the Persian Gulf, one of the regions with the largest oil reserves and, therefore, large business opportunities. “We have achieved this because we have been able to make a suit tailored to the client, which in this case, for example, among other things, required the team to have an anti-explosive classification. It is a segment in which we have been specializing following the different international regulations and that can help us to enter other oil producing countries of that region, “explains Iñigo Béjar, general director and one of the founding partners of the company. E & M Combustion develops combustion technology for virtually any type of power plant. Last year, it supplied two industrial diesel burners to the Nooroo 1 solar thermal plant in Ouarzazate – in southern Morocco – and two more diesel oil burners for another thermosolar plant in South Africa. And just a few months ago, it has won the contract for the combustion equipment for a similar plant in the Israeli desert of Neguev, which, with a power of 121 mw, will provide clean energy for about 1.2 million homes. 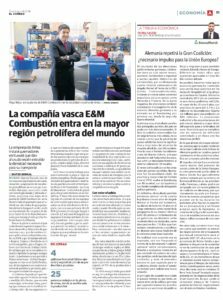 The Spanish engineering company will install five burners there – three with natural gas and two with diesel and natural gas – which, like those installed in Morocco and South Africa, will reduce the emissions of nitric oxide and nitrogen dioxide produced in the combustion of natural gas . This technology is what has also allowed this year to participate in a project to improve the sustainability of a municipal district heating plant in China. This facilities are responsible for supplying millions of people. Once the capacity of its burners to reduce the levels of nitrogen oxides has been demonstrated, it can close the contract to do the same in four other community district heating public contracts in that country. The company has had a commercial delegation there for seven years. “What we have very clear is that we have to be more efficient and less polluting. Not only here, at home, where there is a very strict environmental regulation. Also, and with greater interest if possible, in regions where governments and citizens begin to have that awareness or where even still do not have it. For us, they are new markets in which we have to position ourselves with added value, “explains Béjar. 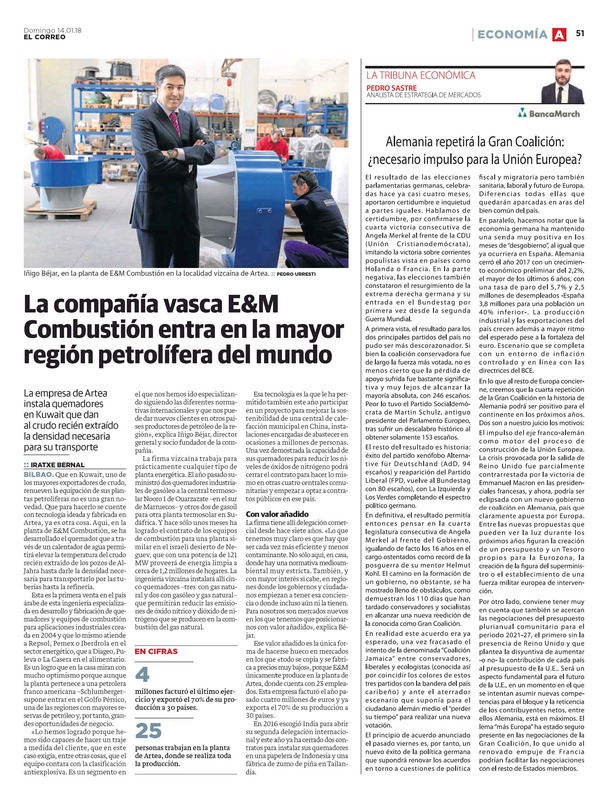 This added value is the only way to make a recognized place in markets where “everything is copied and manufactured at very low prices”, because E & M only produces at the Artea plant in Spain. The company already exports 70% of its combustion technology to 30 countries. In 2016, it chose India to open its second international delegation, “a country where there is still a long way to go”, and this year it has already closed two contracts to install its burners in an Indonesian paper mill and a pineapple juice factory in Thailand. 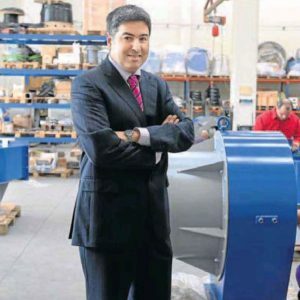 “They are very distant markets and, therefore, very complicated but very industrialized and very powerful where we have a great competition with the manufacturers of China or India, which in turn are two markets that we also want to earn,” says Béjar.